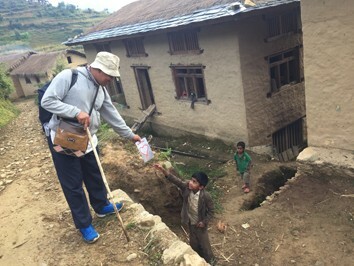 Bijaya makes it his goal to reach the most remote areas of Nepal with the Gospel. 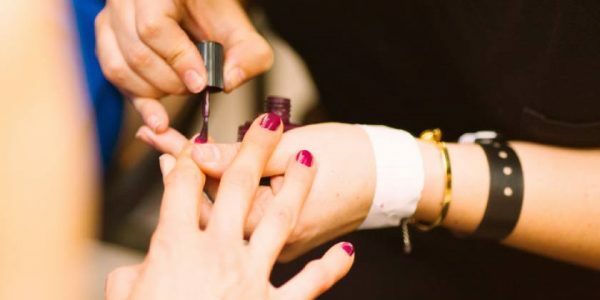 Often that means a several-day drive plus a several-day hike into the mountains where a remote people group lives without the Bible, Gospel literature, or knowledge of the one true God. "The Worst Road I've Ever Driven On"
One of the last times, Bijaya and his team drove for a total of 31 hours and hiked for a total of 13 to get to their destination. Along the drive, they drove on "the worst road I've ever driven on" in Bijaya's words. For him to say that, it must have been bad! Nepal isn't known for quality infrastructure. But on that drive, the rocks were so bad that one punctured a small hole in the car's gas tank. When they noticed the car leaking fuel, Bijaya bought the only possible thing in that area to fix it—a bar of soap. They plugged the hole and prayed God would sustain them and the car along the rest of their journey. 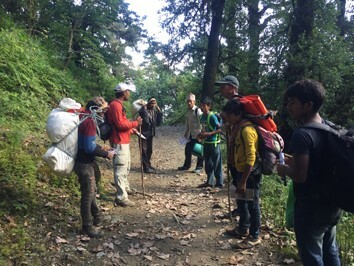 Along the hike to their final destination, Bijaya spent his time teaching the man from the village who met them in town as their guide. He really appreciated the teaching along the trail and now wants to learn more about the Lord and the Bible before starting his own ministry. So, Bijaya invited him for five months of training in the city. Let's see what God has for this dear brother. Once they reached the village where Bijaya was to teach, they were welcomed by people who had come from as far as five hours away by foot just to hear the Word. Bijaya and his team spent two days answering these questions: Who are we in Christ? Why are we here on this earth? What is the Gospel? What is evangelism? And then, Bijaya distributed 3,000 pieces of literature—Gospels of John and The Ancient Path tracts—that they had carried up the mountain on donkeys. The group there was so welcoming of Bijaya that they showed him their appreciation how they could—in food! Stingy nettle curry and flat corn bread. Plus a breakfast of fish they spent all night preparing! 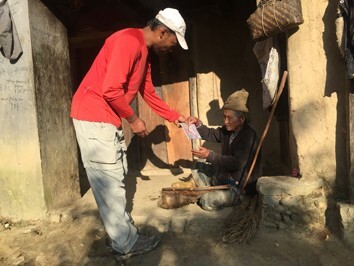 After being fed and getting refreshed, Bijaya and his team began the hike back to their car, distributing more pieces of Gospel literature along the way to anyone they came across. And when they did get to their car, which was stored at a police station, they praised God when they saw the soap plug was still intact and no fuel had leaked out. The police searched their bags when they got back. They saw their Bibles so Bijaya and his team left right away. They had just enough gas to get to the next town (6 hours away) with a fuel station. At this little town, they had plans to sleep on a church floor to spend the night before continuing the drive home. At this little church, a couple had come seeking God. Bijaya and his team were able to give them a clear Gospel message and tell them about the real Christian life, suffering, and persecution. They were ready to repent and place their trust in Christ. Bijaya told them how and then said they could pray by themselves a little bit away. "A repentant heart can cry out to its Creator itself," he said. Bijaya then gave them his personal Bible as a gift. Let's pray that God gives the increase for Bijaya's work on the mountain and in this town.